A systematic attempt by the elite to destroy communities of Native American tribes living in America is currently underway amid a total media blackout. 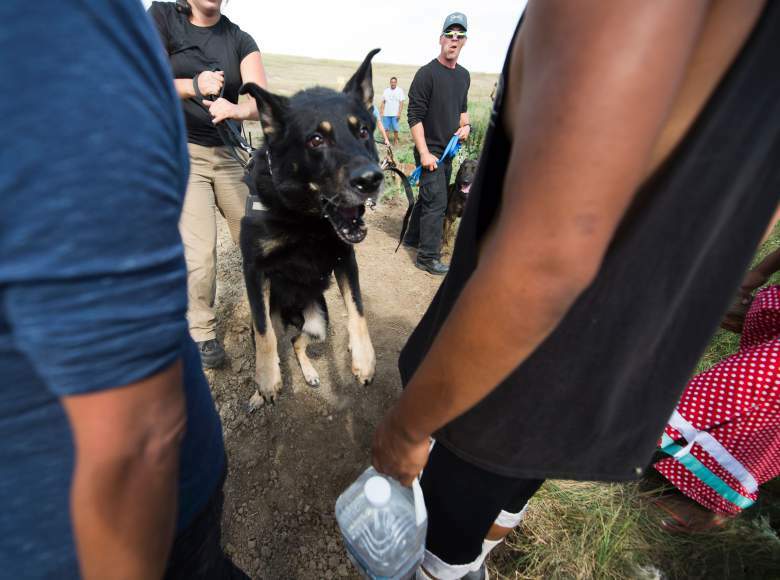 Recent footage has emerged showing corporate mercenaries, operating on behalf of Dakota Access Oil Company, using vicious attack dogs and pepper spray on thousands of peaceful indigenous protestors. 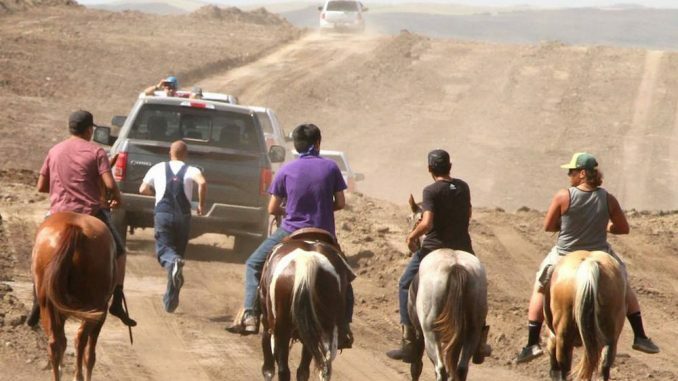 The violent attacks came one day after the Sioux Standing Rock tribe filed court papers identifying sacred sites and reiterating their claims the pipeline will pollute the Missori River and contaminate the water supply of thousands of people from their tribe. It has also been revealed that over twenty major banks and financial institutions are banking on the pipeline going ahead. 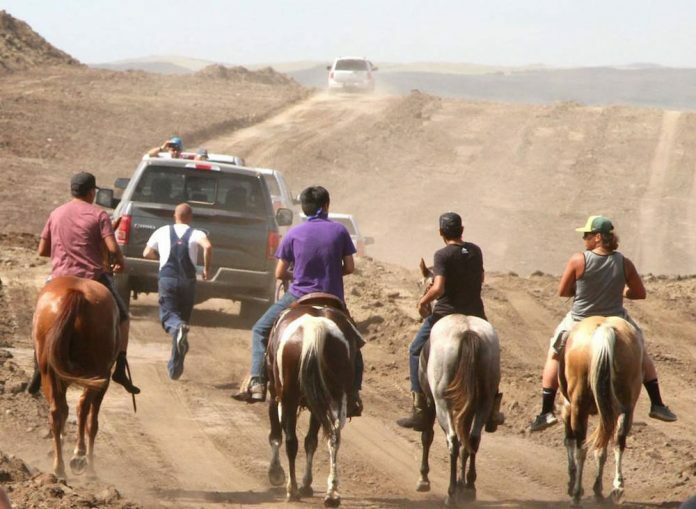 On Sunday corporate mercenaries arrived with attack dogs and used the trained animals as weapons to illegally assault and terrorize the Native Americans. Protestors claim the dogs attacked human faces, as video evidence emerged of dogs with blood around their mouths. The protests were launched on April 1 and have shut down construction along parts of the pipeline, however the violent and inhumane treatment of the Native American protestors on the holiday weekend represents a new low in human rights abuses perpetrated by the oil company and its financial backers. If completed, the $3.8 billion pipeline would carry half a million barrels of crude per day from North Dakota’s Bakken oilfield to Illinois. But at what cost? The project has faced months of stern resistance from the Standing Rock Sioux tribe who believe the pipeline will disturb sacred burial sites and contaminate the Missouri River – the water supply of 8,000 tribal members. Members of almost 200 other tribes from across the U.S. and Canada are protesting with the Standing Rock Sioux tribe in solidarity. A federal judge is currently deciding whether construction should be stopped altogether, in response to a complaint filed by the tribe, which argues that the U.S. Army Corps of Engineers illegally approved the project without their involvement. That decision is expected by Sept. 9. The explosion of violence against protestors comes as a new investigation has exposed that more than 20 major banks and financial institutions are helping finance the Dakota Access pipeline. The investigation, published by the research organization LittleSis, reveals that Bank of America, HSBC, UBS, Goldman Sachs, Wells Fargo, JPMorgan Chase and other major financial institutions have extended a $3.75 billion credit line to Energy Transfer, the parent company of Dakota Access LLC. 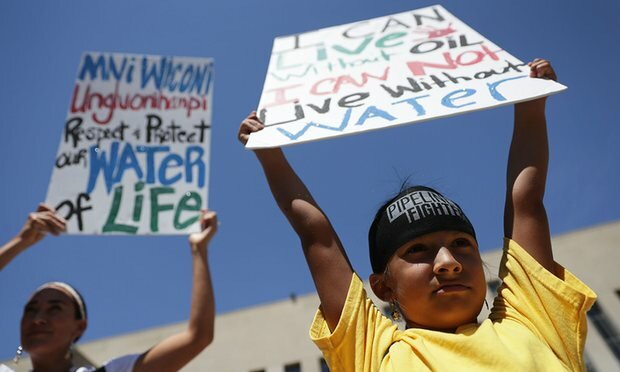 Though the U.S. government and mainstream media is choosing to suppress the issue, a UN body has ruled that the Sioux must be included in planning of the pipeline project. Attack dogs were set on protestors on Saturday. Dalee Dorough, an Inuit member of the forum, said failure to consult with Sioux over the project violated the U.N. Declaration on the Rights of Indigenous Peoples.